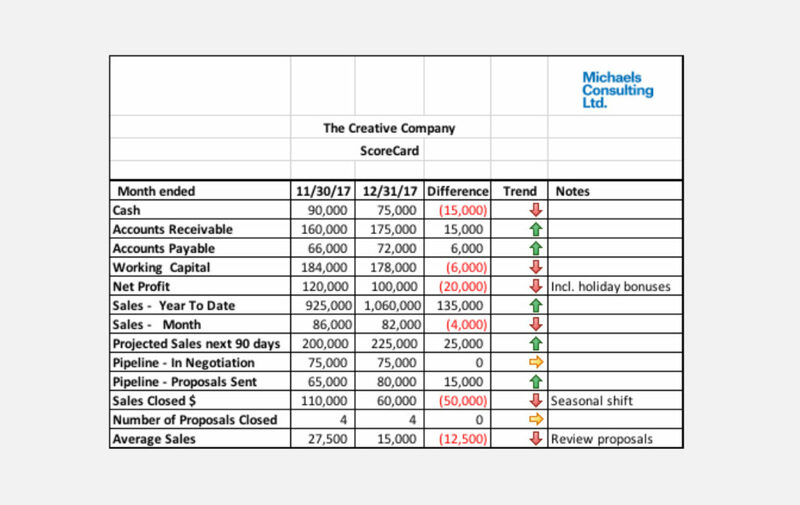 Business Plan – Michaels Consulting Ltd. 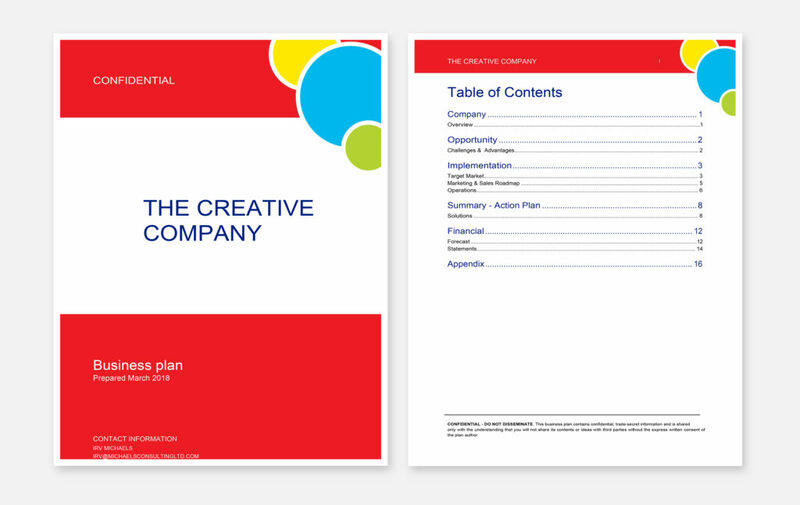 The business plan is a document setting out a business’s future objectives and strategies for achieving them. 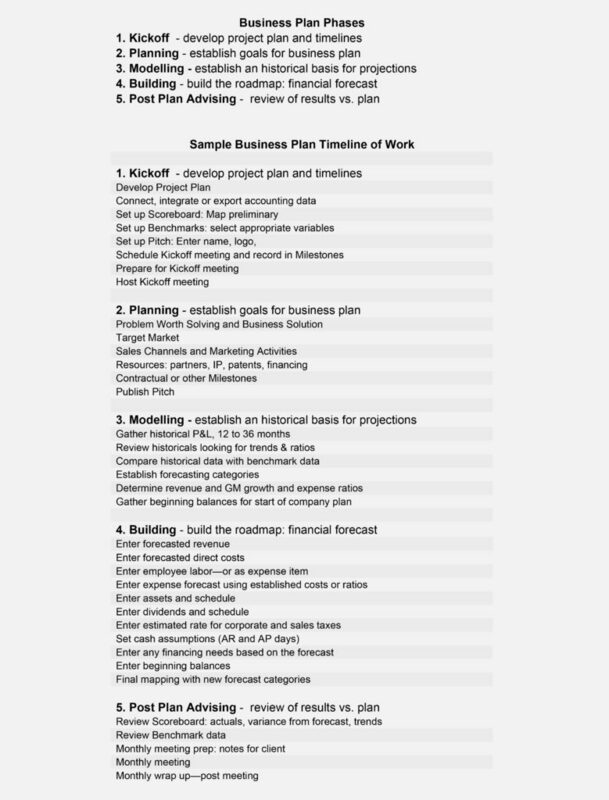 Generally, a business plan has four phases, Kickoff, Planning, Modeling and Building. Too frequently, when a plan is completed, these plans are filed away and disregarded until the next business planning cycle. 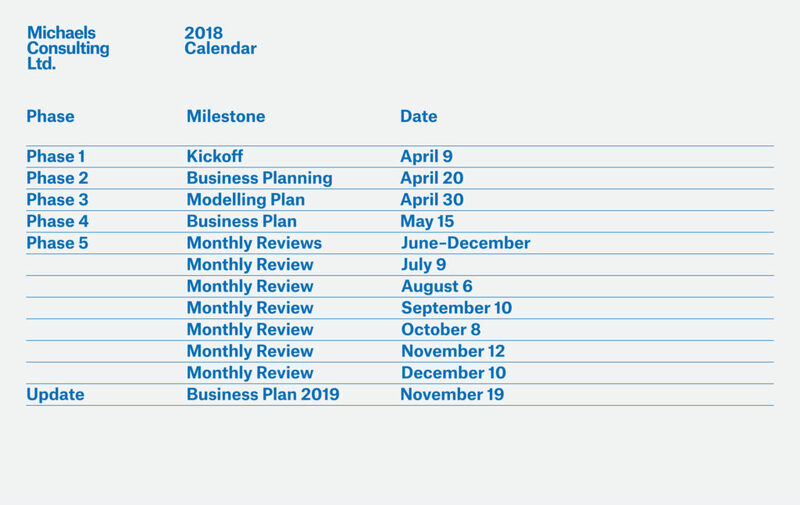 A business plan is just the beginning—the execution of that plan is what leads organizations to the realization of goals and growth. For the business plan to succeed, a fifth phase is necessary: Post Plan. Timely reviews, measurements and adjustments keep an organization to stay focused on accountability and goal achievement.